Start the import process, map columns on your template to fields in Current, and work with your import results. When you’ve prepared your import files for Current RMS, head to System Setup > Import Data to start the process. 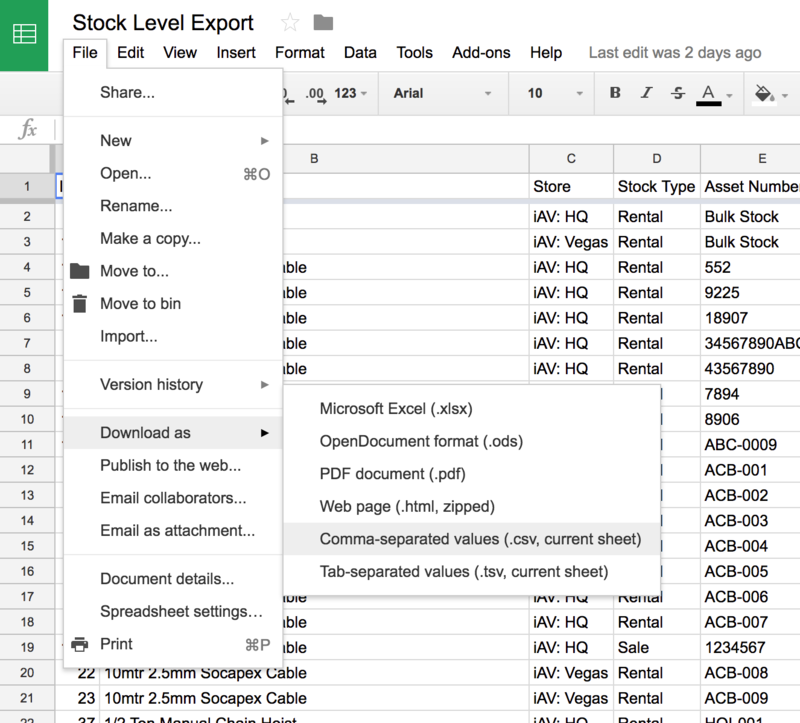 Make sure you save your spreadsheet as a comma-separated values file, which has the extension .csv. Choose comma, semicolon, or tab as the delimiter if prompted. Remember your choice here as you’ll need to specify this later. Head to System Setup > Import Data when you’re ready to go. Select the type of data you’d like to import. For a contact import, the only required field is name so be sure to change this. This is usually comma, especially if your device’s language is set to English. If you selected a different delimiter, choose it here. Hit the choose file button to browse for your import template. When you’re done, hit the blue Upload button. 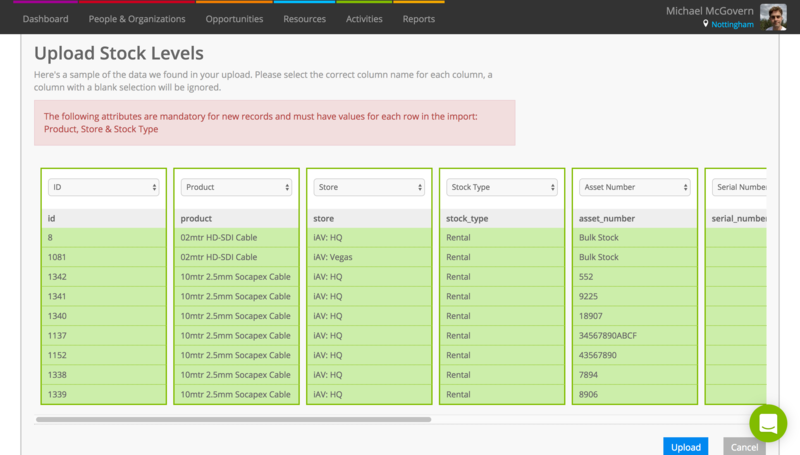 On the next screen, Current RMS will prompt you to map columns found on your import template to fields in your system. Current will attempt to automatically map columns for you where it finds a matching column heading. Use the drop-down at the top to select the field in Current that a column should be mapped to. You may map the same field to multiple columns to combine them, e.g. if you have a first name and last name column, map these both to “Name” and Current will merge. Any columns that aren’t mapped will be ignored. When you’re done, hit the blue Upload button again. If you’re only creating a few records, Current will perform the upload right away and let you know the results on screen. If you’re creating a bunch of records, Current will schedule the upload for processing and email you when finished. During the import process, Current will validate the data. If there are errors, you’ll receive an email (or see them listed on screen) so you can troubleshoot. Need help troubleshooting? Forward the email to our customer success team along with your import template and we’ll point you in the right direction. You can reach us at help@current-rms.com.